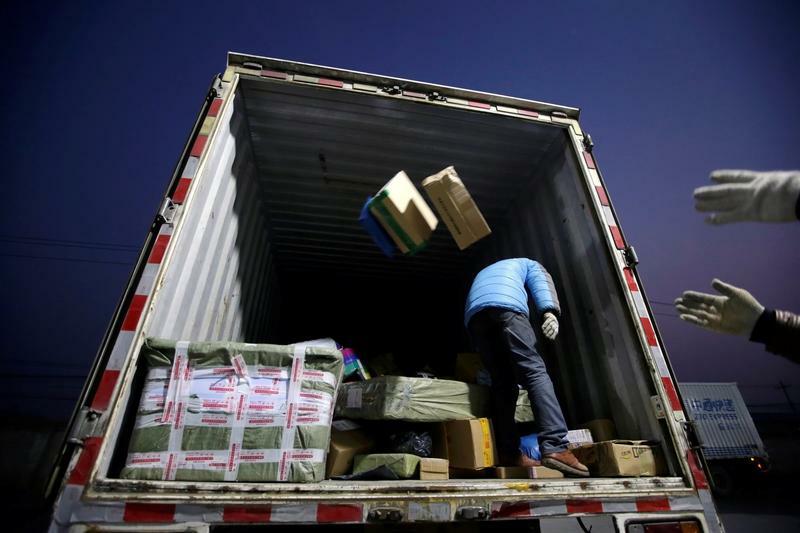 The e-commerce titan is leading a $1.4 bln investment into China’s top courier service, ZTO. It’s the latest in Alibaba’s scattershot approach to logistics. Keeping up with rival JD may be the real motive, but it isn’t clear how the pieces fit together into a cohesive strategy. Alibaba and its logistics subsidiary, Cainiao, on May 29 said they led a group of investors to buy about 10 percent of Shanghai-based courier service ZTO Express for $1.4 billion. The companies did not disclose the identity of the other investors or the terms of the deal, which they expect to close in June. Alibaba will have a seat on ZTO’s board. ZTO Chairman Lai Meisong told Reuters the investment would allow his company and the e-commerce giant to better share resources and help ZTO cut costs through access to new technologies. He also said the pair decided to enter a deal to work more closely on operations and build trust between affiliates. Shares of U.S.-listed ZTO closed up 7.9 percent at $20.82 on May 29. Alibaba shares were flat.